I doubt you will find any ED's with paddle shifters. No need for them. It's a single speed transmission. Also, Feb build date with May delivery is fairly typical of smart. My 08 was built in March, and arrived at the dealer the first week of May. Remember, they are coming by boat from France. Plus someone posted that there were some legal issues with the battery lease/rental that the lawyers had to sort through before they could release the cars. The paddles in Ed are not for shifting but to control level of regen. I got a VIN back in Feb and tracked its vessel, which arrived at port in LA on March 11th. So yes, they've been on US soil for over two months. 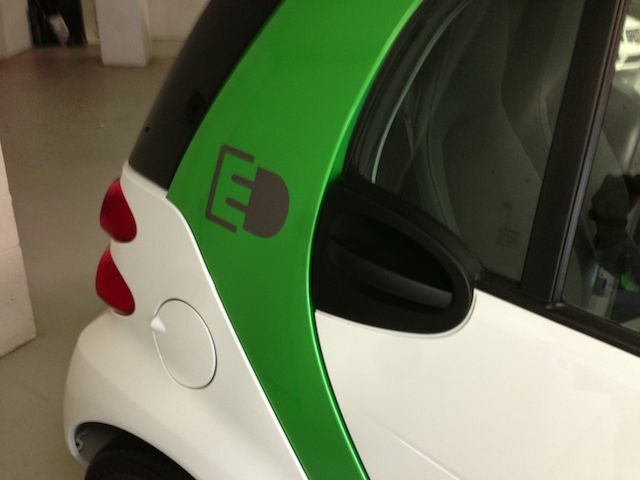 Just picked up my Smart electric drive yesterday and it's amazing. Eerie Quiet, quick and thank god no transmission! I decided to get the Crystal White/Kinetic Green Combo and it looks great, especially with those white wheels. I traded my first 2008 Smart Cabrio (which was the second delivered in NYC). So far I love it because it corrects my biggest complaint with my first one, the transmission. And the teasing will continue.... the car advertises that you have ED! and we all know what that means! Erectile Disfunction! I guess it could mean electric drive. Moved here to tally ED's deliveries. Thanks. The white wheels do look sharp. Nice car. So when the next gen smart comes out you will be able to get a (rumored) smoother transmission and longer range with petrol. Start saving up! Just picked up my Smart electric drive yesterday and it's amazing. Congrats on being one of the first to adopt a smart Ed v.3 for Beta Testing. Please do keep us in the loop as to your electrifying experiences . . .
FWIW: Got mine too. 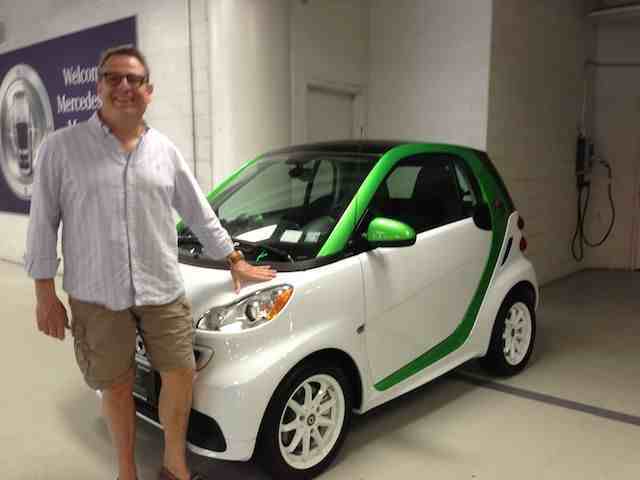 First Cabrio gas delivered to smart Buffalo in 2008 (3rd car sold). This time I was first nationwide to take delivery for an 2013 ED. When the dealer called in to activate the warranty, needed to setup the on-line connection, she was told she was the first to register an ED in the continental US. Picked it up Friday morning, and drove it from Buffalo to Rochester (65 miles, used 75% of battery). And yes, it's quite amazing. The ride is smooth, the pickup is just crazy. And I love the "UFO noise" it makes. Overall, awesome. Now if only I could figure out how to adjust the damn eco regen settings without paddles. Leave it to smart to introduce a feature that can only be set with custom equipment, and then not offer said equipment. Nice! Post some photos when you can.